Holiday party planning can be such a pain, let’s make it easy! At Howl at the Moon, this year’s company holiday party, small private holiday party or holiday outing with co-workers is a breeze to plan. Everyone will be talking about it until next year! Whether you’re looking for a party room, an event venue or scouting private party locations you can stop your search right here! We specialize in special events. Our lively and interactive live entertainment is perfect for all kinds of party goers. We’ll worry about rocking high-energy music from the stage, pouring drinks at the bar and keeping the buffets topped off while you sit back and enjoy. 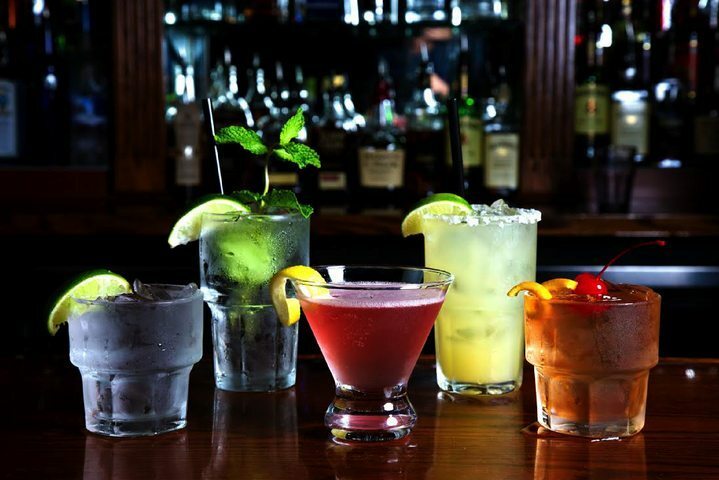 Make Howl at the Moon your Pittsburgh holiday party venue today! TVs with options to display company logo, photos, slideshows, etc. Howl at the Moon is the live music bar that rocks holiday events in Pittsburgh! Our high-energy show is great entertainment for guests of any type of party or event. The show builds from light dinner music to our full band, providing seamless entertainment over the course of the evening. Whether your guests want to sing along to Journey or dance to Katy Perry, our talented entertainers have got you covered. Our musicians can even perform a custom song to honor the company, a new product, or the guest of honor! 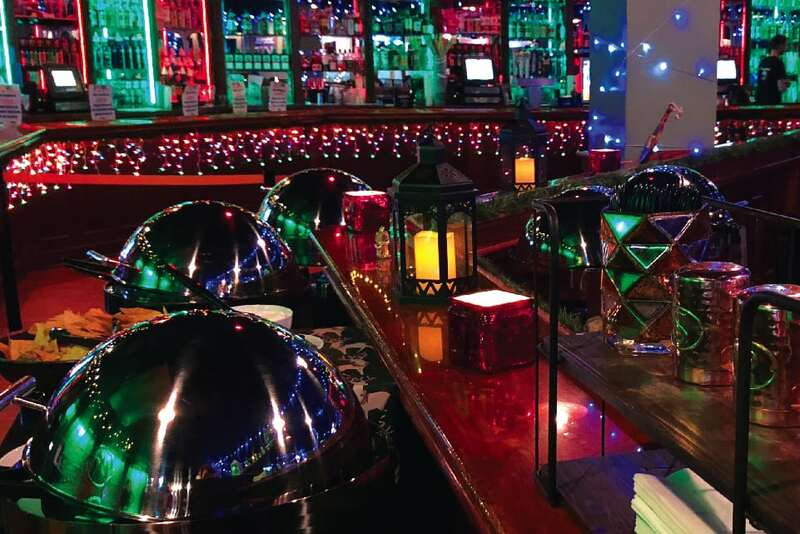 Howl at the Moon is the most exciting holiday event venue in Pittsburgh, providing a fun and celebratory atmosphere for your co-workers to socialize, sing, dance and party!